This is the latest high speed flexible Groundvue multi-channel. 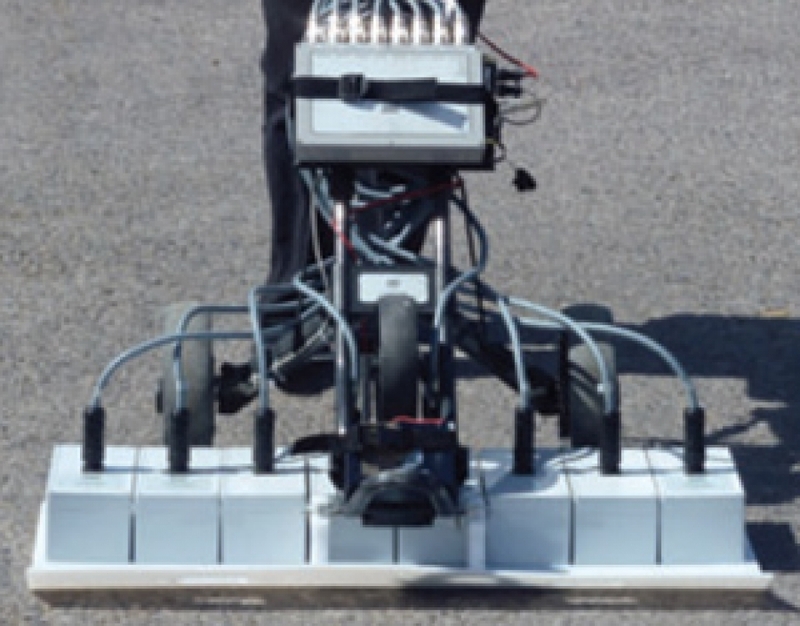 It can be used in any configuration, from a trolley, from a vehicle, hand towed. Antennas can be attached, detached for another application, changed around at will. And the viewing parameters can be changed during operation. This is the radar used to detect fibre optic cables (video coming soon) and also to accurately track the direction of utilities at one sweep. It can also serve as a high density array in either single or multifrequency. The antennas can be positioned in any configuration that the user requires. View any number of channels on screen simultaneously – from 1 to 8. Change the view during survey without affecting the data recording. Selectable wiggle trace on any channel to monitor the data quality. Up to 4 receivers can be used with 1 single transmitter. Since the antennas are simultaneously triggered, transmission velocity can be calculated automatically from the multiple receiver data. Modular - This multi-channel can be used for multiple applications. Why buy two systems if one will do? Automatic Velocity Calibration - Groundvue antennas are simultaneously triggered, not sequentially, and without cross channel interference. Using multiple receivers connected to a single transmitter, continuous comparative data is created. Layer tracing generates the information needed to calculate transmission velocity for the full length of the data collected. In the process, any anomalous areas show clearly. 6GHz, 4GHz, 1.5GHz, 1GHz, 400MHz and 250MHz. 100MHz currently under development. A laptop or tablet (Windows 8, 7 or XP) is required for radar operation and data storage. A basic 12V battery charger is needed to charge the radar batteries. Analytical software – the ReflexW package – is also available. 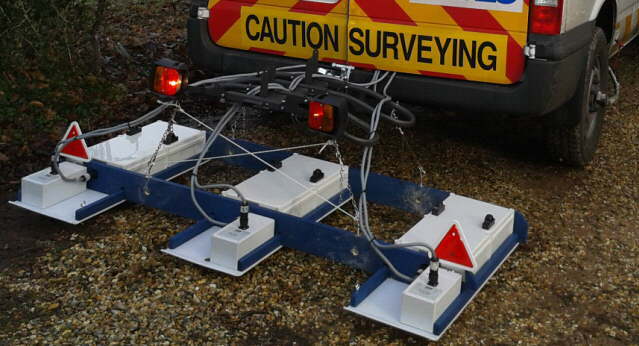 Groundvue data is also compatible with Roadscanners, GPR-Slice and Geoscanners software. Data formats can be supplied to other software suppliers on request.